The sparkling new Mazatlan International Centre. A colourful street party in Mazatlan's Centro Historico. 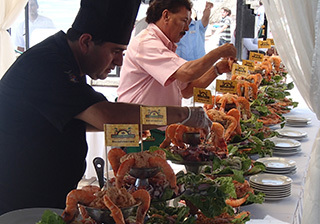 Mazatlan is renowned for its seafood. 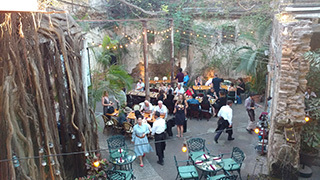 The wonderfully atmospheric El Presidio restaurant in the Centro Historico. 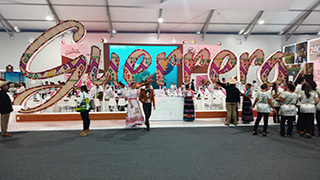 Mexico's states engaged in creative battle with their elaborate trade show booths. 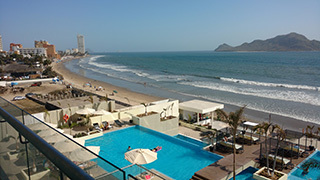 View from a room at theLocal Hotels Mazatlan. 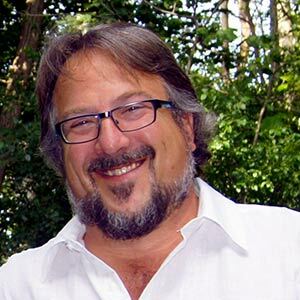 The Mexican tourism industry is a high-speed train, fuelled by the country’s amazing natural and cultural attributes, an ever-improving product and a population distinguished by gracious hospitality. How fast is it going? Delegates at last week’s Tianguis Turistico 2018 heard Mexican President Enrique Peña Nieto stake the claim that Mexico is now the 6thmost important tourism destination in the world – an improbable leap from 15thin 2013. The country attracted just shy of 40 million visitors last year, and is projecting 50 million by 2021. Open Jaw’s recent few days at the nation’s 43rdannual tourism showcase effectively demonstrated the power and importance of the industry. 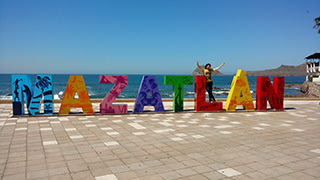 The state of Sinaloa pulled out all the stops, investing US$100 million in putting the best face on Mazatlàn, a destination that has seen better days – but exhibits every sign of achieving better days ahead. Mexico showed off the destination in a highly effective way, beginning with an opening-night, sit-down, multi-course meal served on the oceanfront malecónto somewhere north of 1,000 Tianguis attendees. The entertainment was spectacular, with opera and classical music evolving into a magical carnival parade and culminating with a massive fireworks display designed to mimic a naval battle. And somewhere in the midst of all that excitement, President Peña Nieto strolled down the parade route, taking selfies and shaking hands. 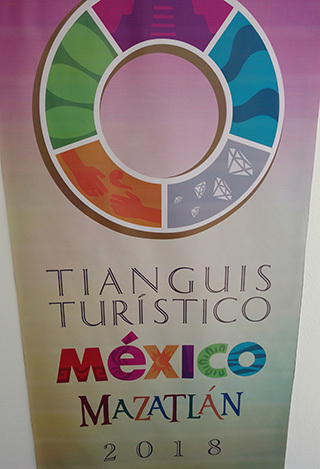 His attendance – and the fact that governors of 15 of Mexico’s 31 states were on hand for Tianguis – shows just how seriously the country views the importance of tourism. 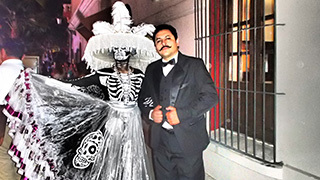 On the next night, it was the time of Mazatlàn’s Centro Historico to shine. The city is home to over 500 buildings designated as national landmarks, and many 19th-century beauties are found in the city centre. The architecture is superb and a major renaissance is going on in the streets surrounding the gorgeous Plaza Machado. Restored buildings are resplendent in their vibrant colours, and a robust gastronomic and art scene is emerging. The hotel sector is kicking into gear in Mazatlànas well, with a number of new properties on the horizon. Open Jaw stayed at thelocal Hotels Mazatlan, which just opened in December, 2017. It is modern, bright and fresh, and offers great sunset views and two infinity pools. Located on a nice stretch of beach in the Zona Dorada (Golden Zone), the property is still awaiting permission to create beach access from the pool area, but that’s a likely future improvement. A wide range of dining, drinking and entertainment venues are within walking distance. Just getting to Mexico was a demonstration of the country’s tourism success and investment. Tianguis attendees learned that just a few years ago, the average age of a Mexican aircraft was 17 years. Now it is 5.8 years. Open Jaw flew YYZ/MEX with AeroMexico, which now claims one of the youngest long-haul fleets in the world. The aircraft was a comfortable 737-800, with free meals and drinks even in economy. The onward Interjet MEX/MZT was on a sparkling A320 with a very civilized 34” seat pitch in economy. 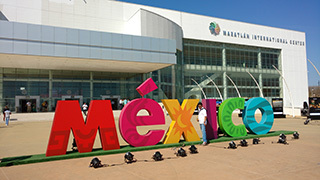 The MazatlànInternational Centre, where the Tianguis trade show and conference was held, is a nearly-new state-of-the-art conference centre. It efficiently accommodated 1,600 national and international exhibitors and 1,100 buyers representing 204 national and 477 international companies.